No one should underestimate the damage a hacker can do and you can discover the strange world of computer crime! In our day and age of connected computers, many do not realize how vulnerable crucial pieces of our infrastructure are. Long gone are the days that damaging a dam would require explosives. All it takes now is the corrupting of the computer that manages the flow of water. The assailant no longer has to be on the spot to inflict damage and casualties. Hacker attacks and cyber-crime is on the rise and there are people dedicated to fighting it. U.S. Law enforcement agencies of both the federal and state level have entered the fray with the talent, the technology, and the skills to hunt down cyber terrorists, criminal hackers where they hide. This enhanced DVD gives you a chance to experience the world of cyber enforcement and to follow the major cases that created the world we know now have. The water treatment centers, power stations, military communications buildings, and financial institutions of America are all vulnerable to attack. The main threat isn�t necessarily from bombs; computer hacking is the major threat. What can protect our institutions and infrastructure from a digital attack? 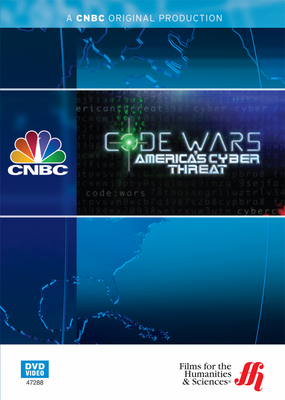 This CNBC documentary goes to the front lines of the war on cyberterrorism and cybercrime. Introduction � A video montage of different people discussing the potential threat of cyberterrorism including stealing of America�s military secrets. Night Dragon � The Night Dragon attack in 2009 was on eight different gas and oil companies and attempted to get information regarding rights to different oil fields. This was one of several different attacks on American business and military networks. Spearfishing � Chinese hackers send emails that are personalized and deploy malware in order to learn military secrets. Operation Aurora occurred in 2009, most likely by Chinese hackers, and it stole information from IT companies as well as Google. Nationalist Individuals Hacking � Patriots of different countries also hack along with the Chinese government. The leader of the Chinese hacking community explains why they hack American targets, and many people believe that Chinese hacking groups are backed by their government.